A really good neat product that can hold up to four knives of different sizes. 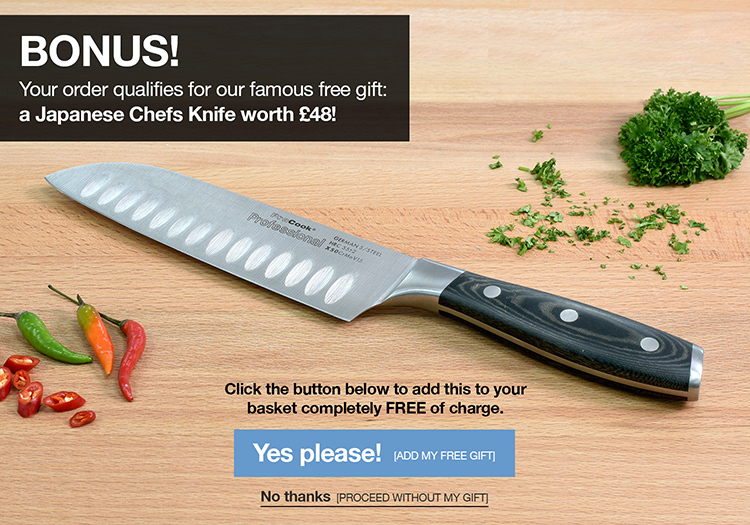 The Professional X50 3 piece set includes a 9cm paring, 13cm utility and 15cm chefs knife. Featuring unique micarta handles, which are contoured to fit perfectly in your hand, they are comfortable for even prolonged periods of use. The Professional X50 range also benefit from triple rivet handles, and have full tang construction for added strength. The composition of the stainless steel from which the knives are crafted, is referred to as X50CrMoV15 denoting it uses X50 German stainless steel, containing 0.5% Carbon, to ensure a non-brittle steel, 15% Chrome and also Molybdenum and Vanadium for high corrosion resistance and anti-tarnish. Made from finest quality American oak, this knife block is the perfect compliment to knives from the ProCook Professional X50 range. 25 year knife guarantee - 1 year knife block guarantee - ProCook design, manufacture and supply innovative quality product and cut out the middleman to bring you unbeatable prices.